Ships tomorrow if ordered in the next 21 hours and 29 minutes! Replenish evaporated aquarium water with greater reliability and ease. Hydor Smart Level Control Automatic Top Off System is a next generation ATO system designed to maintain ideal aquarium or sump water level. Easy-to-install system employs an electronic sensor and has no moving parts to ensure accurate and reliable sensing and replenishment of aquarium water level. 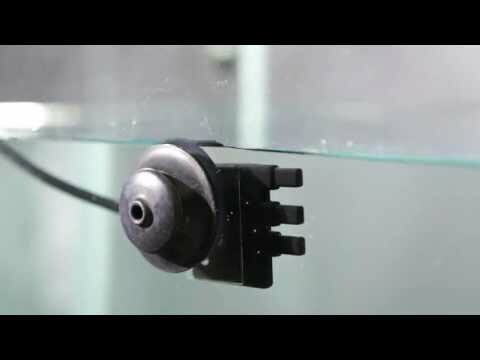 Unique electronic sensor is unaffected by surface movement of aquarium water to eliminate inaccurate function commonly experienced with ATO systems using mechanical float sensors. Hydor Smart Level Control Automatic Top Off System features LEDs to display operational status. LEDs light up to indicate minimum and maximum water levels as well as the "Alarm" level. Audible alarm also sounds in the event where water level exceeds the desired maximum top off level. Low voltage system for use with aquarium top-off pumps rated up to 50 watts Top off pump required for operation and sold separately. Hydor Smart Level Control Automatic Top Off System includes Smart Level Control, plastic support for sensor, magnetic suction cup (suitable for up to 0.4 inch aquarium glass thickness), two cable clips with adhesive, and instructions. Smart Level Control measures just 5-3/4" x 4" x 1" thick. Does this come with a pump and tubing or is it just the controller and sensor? This is controller and sensors only. Pump and tubing are sold separately. I am using this for a 40g breeder tank w/ a 2.5g reservoir tank for my Hydor ato. Works great automatically refills my sump/ refugium tank whenever the water levels drop. I love this product. I use it on my quarantine tank and have no fears of it malfunctioning.